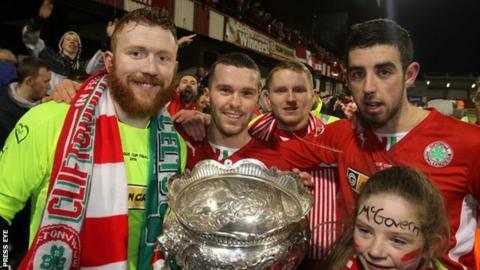 Cliftonville begin the defence of their League Cup crown against Championship Two side Wakehurst at Solitude on Monday night. The Reds have tasted League Cup success in each of the last two seasons. Linfield travel to Ballyclare Comrades, Glentoran go to Moyola Park and Glenavon welcome former boss Tommy Kincaid back to Mourneview Park as they face Lisburn Distillery. Annagh United host Portadown in a mid-Ulster derby at Tandragee Road.